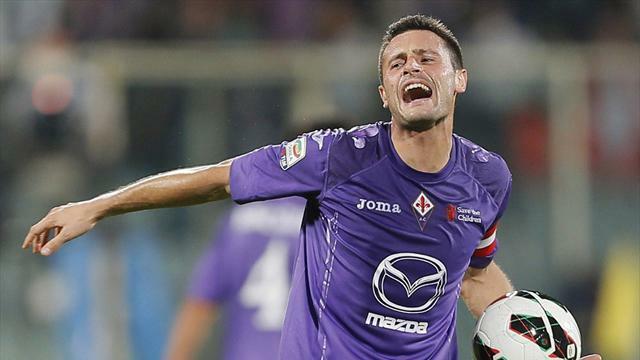 Fiorentina edged Udinese in a high tempered semifinal to advance to the final of the Coppa Italia. Udinese held a slender 2-1 advantage however with tempers fraying the visitors had 2 players sent off after a frantic scene that saw them being denied a penalty. Fiorentina applied the pressure first with a 16th minute volley by Pascual and then a 61st minute shot by Colombian Juan Cuadrado also found the back of the net to give the hosts a shot of a 7th Italian Cup. Fiorentina will take on either Napoli or Roma who play this evening, Rafa Benitez’s Napoli hold a 3-2 advantage.